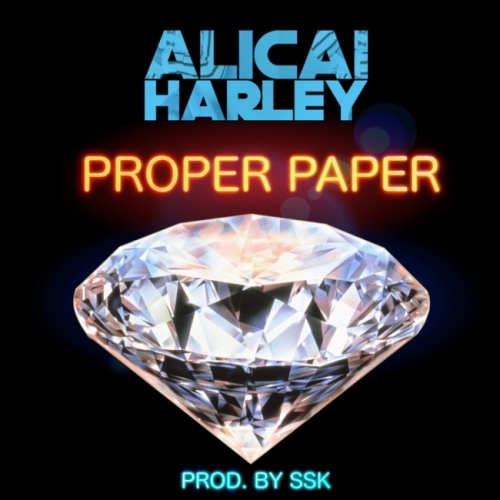 Premiered by Julie Adenuga on Beats 1 last Thursday and released on Friday, Proper Paper is the infectious new single from Jamaican-born London-based artist Alicai Harley. Produced by SSK, this infectious dancehall-inflected earworm has been building momentum nicely over the last couple of days, with further radio plays across BBC Radio 1Xtra, Capital Xtra, and BBC Asian Network, as well as being playlisted at The Beat London. Her previous releases, including Naah Done and Killa, have been supported by the likes of Toddla T, Tim Westwood, Sian Anderson, Mistajam, Seani B, David Rodigan, Trevor Nelson and Charlie Sloth. Having shut down this year’s Notting Hill Carnival with performances across Steeze Wonderland, Rampage and Red Bull soundsystems, as well as stand out shows at London Black Pride, the Great Escape Festival and Jazz Cafe, Alicai will be playing the Re-Up at the Ace Hotel in Shoreditch tonight (25 October), so if you are free, we would advise you popping down. With a sound that is very much now and with peers like Dizzee Rascal, Stefflon Don, Estelle and Swizz Beats all shouting her praise, Alicai Harley is a fast rising star that needs to be on your radar. Online/Press: Katerina Koumourou, Listen Up!